01. 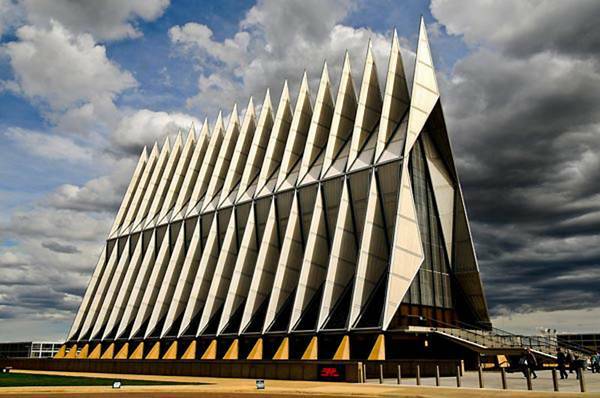 Cadet Chapel U.S. Air Force Academy, Colorado. 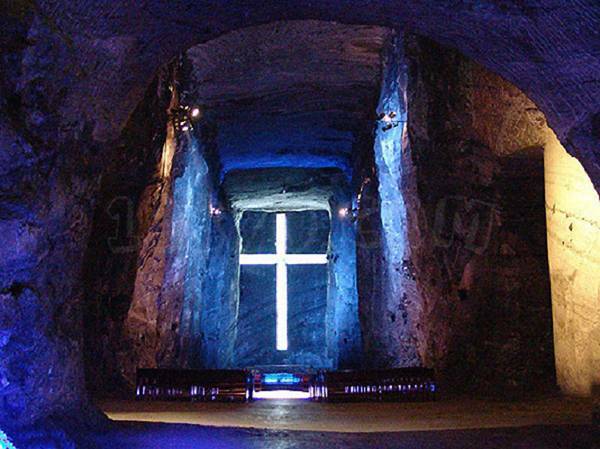 02.. Salt Cathedral of Zipaquirá, Colombia. Previously, there was a mine, in which the Indians extracted salt. 03. 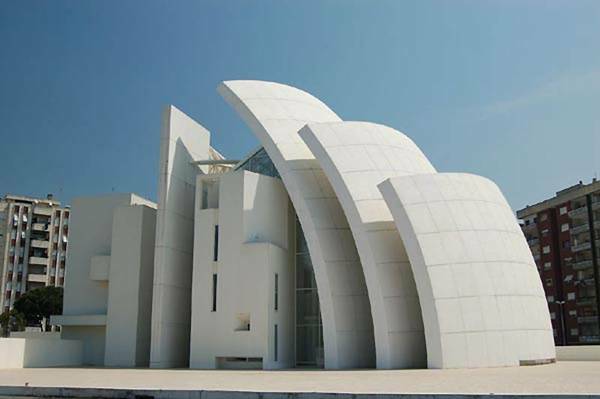 Cathedral of Our Lady in tears, the city of Syracuse, Italy. 04. 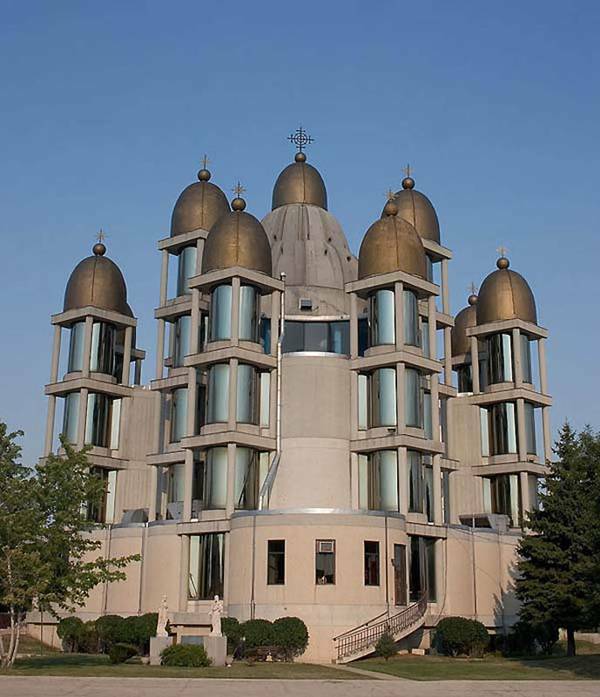 Church of St. Joseph - the Ukrainian Greek Catholic Church, built the Church of St. Joseph's in Chicago. 05. 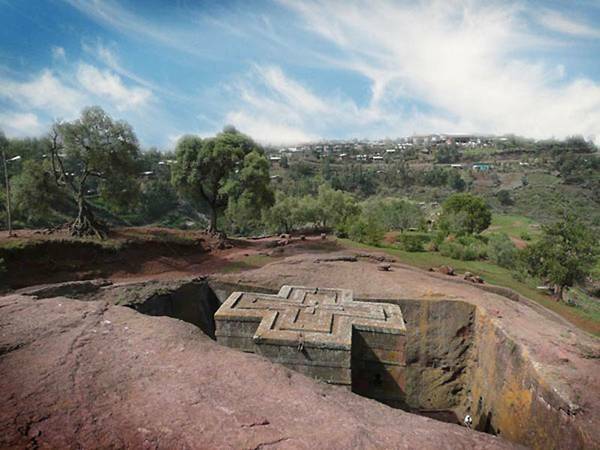 Church of St.. George is in the Ethiopian town of Lalibela. 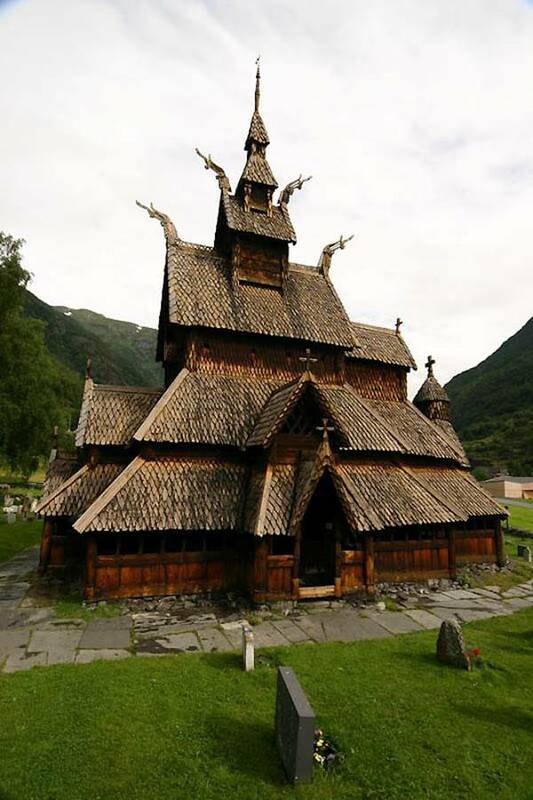 Built in the 13th century and goes into the ground at 25 meters. 06. The church comfort, Cordoba (Spain). Designed in the past year. 07. Cathedral - Basilica of Glorious small Bogomateri.Eto the highest in Latin America, the Catholic Cathedral: its height is 114 m + 10 m cross on top. 08. 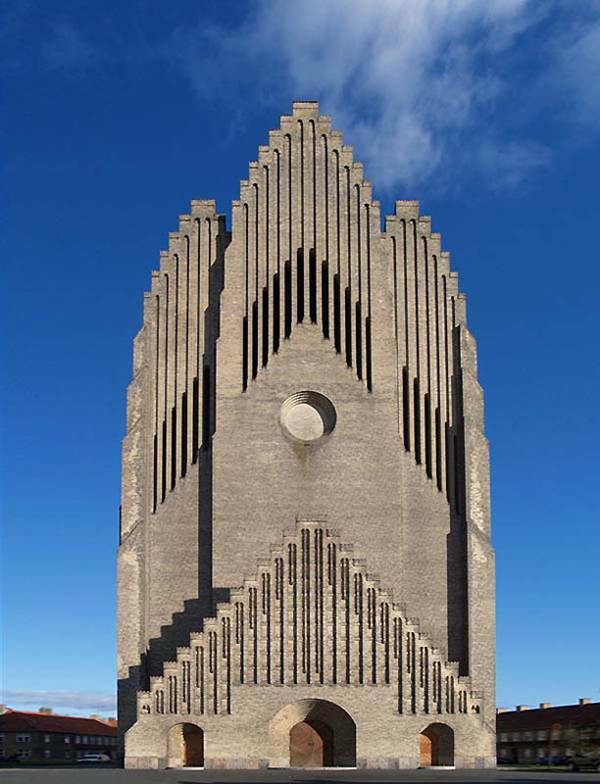 Grundtvig Church in Copenhagen, Denmark. Construction of the church lasted from 1921 to 1926. 09. 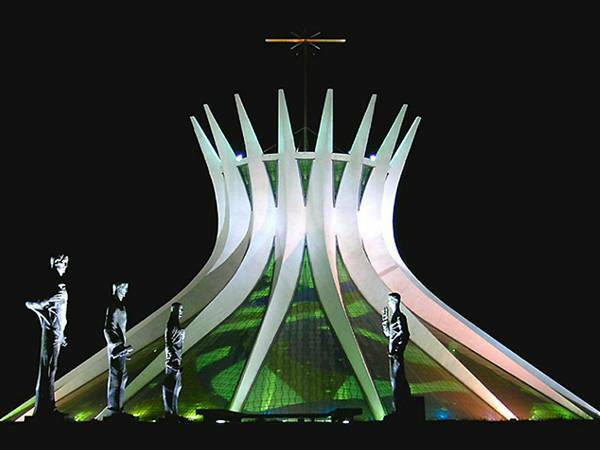 Cathedral of the Blessed Virgin Mary, Brazil. 10. Stavkirka in Borgunne, Norway. Metal parts in the construction were not used. 11. 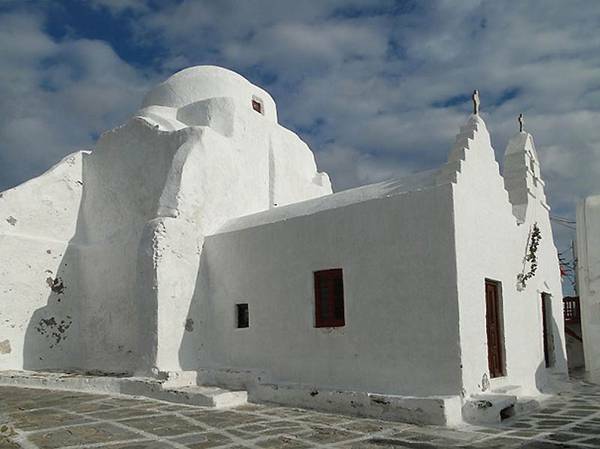 Paraportiani Church, Mykonos Island, Greece. The temple was built in 15-17 centuries. 12. 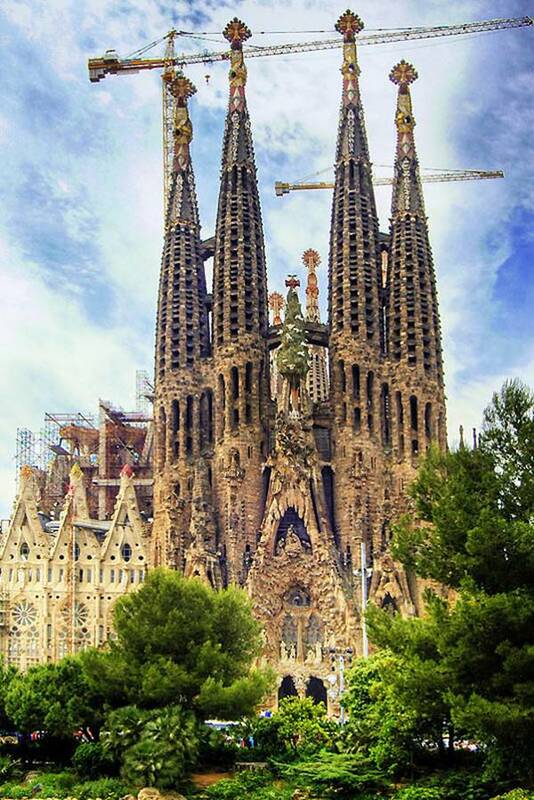 Church of the Sagrada Familia in Barcelona. Because of the complexity of manufacturing of masonry structures, the cathedral will be able to finish no earlier than 2026. 13. 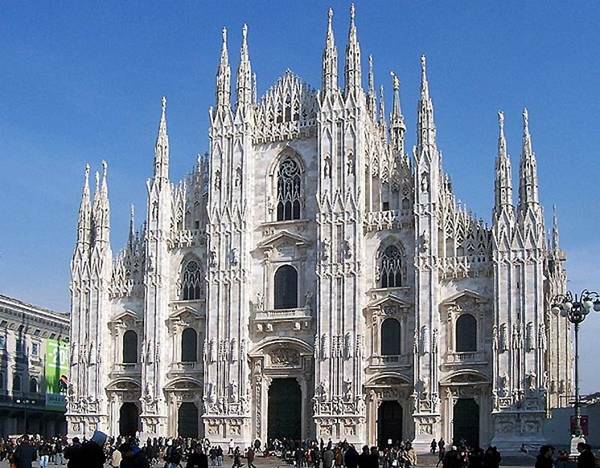 Milan Cathedral. It was built over five centuries. 14. St. 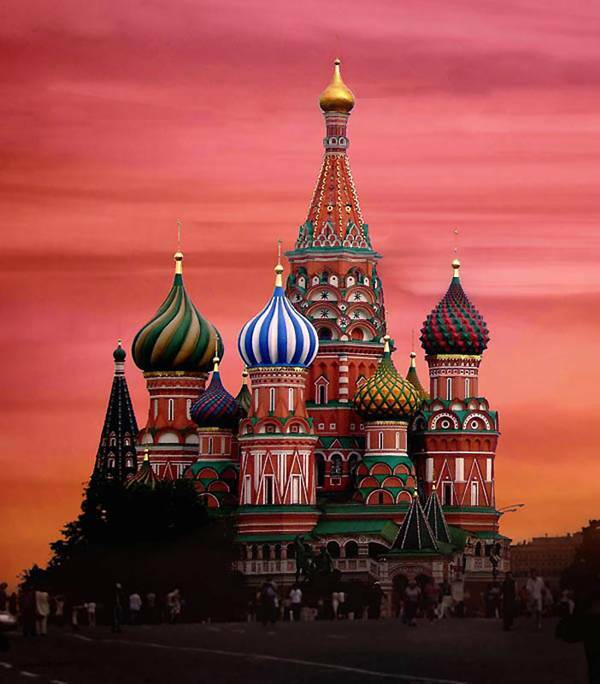 Basil's Cathedral on Red Square is located in the Moskve.yl built in 1555-1561 by order of Ivan the Terrible. 15. 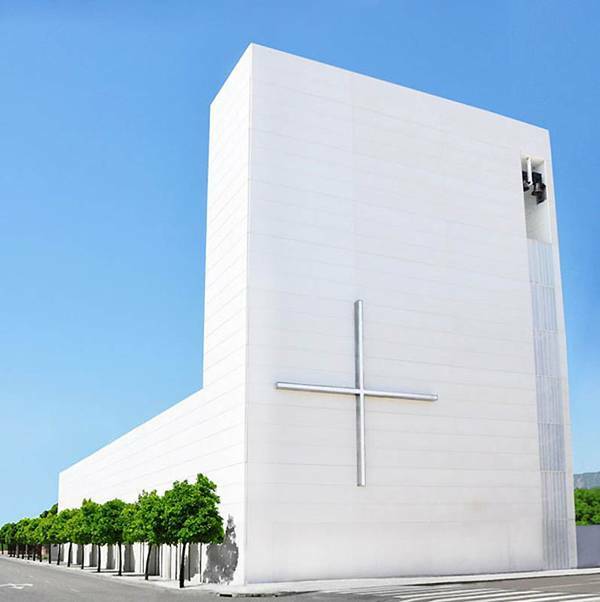 Jubilee Church, Rome. 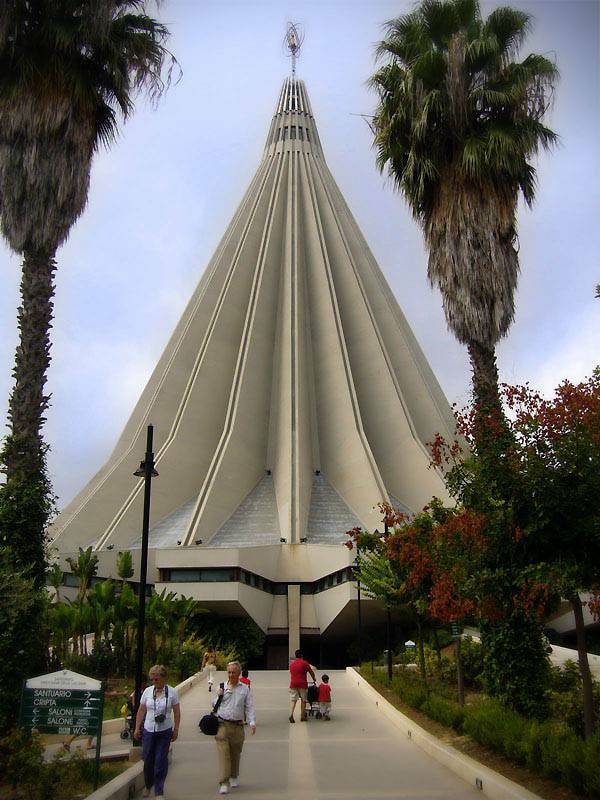 It was built in 1996-2003. 16. 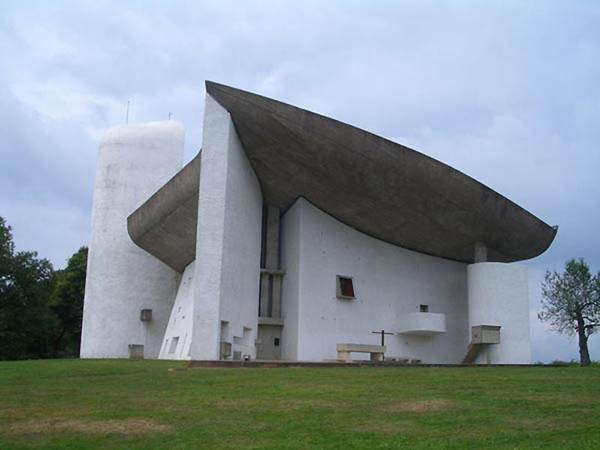 Notre-Dame-du-O in the French city Ronshan. Tourists coming to see the church become a major source of income ronshantsev. 17. 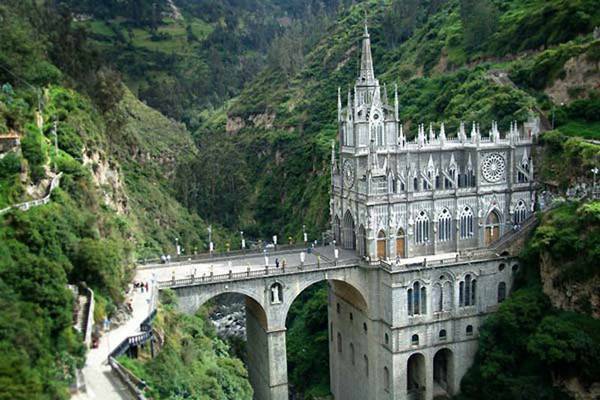 Las Lajas Cathedral, Colombia. Construction of the temple on the 30-meter arch bridge was completed in 1948. 18. 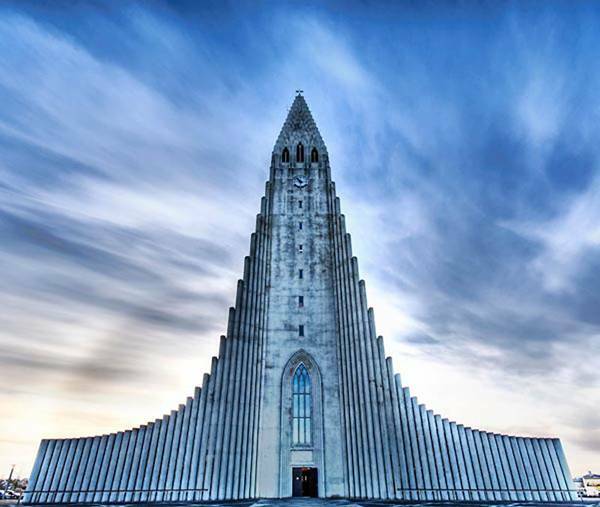 Hatlgrimskirkya in Reykjavik, Iceland. 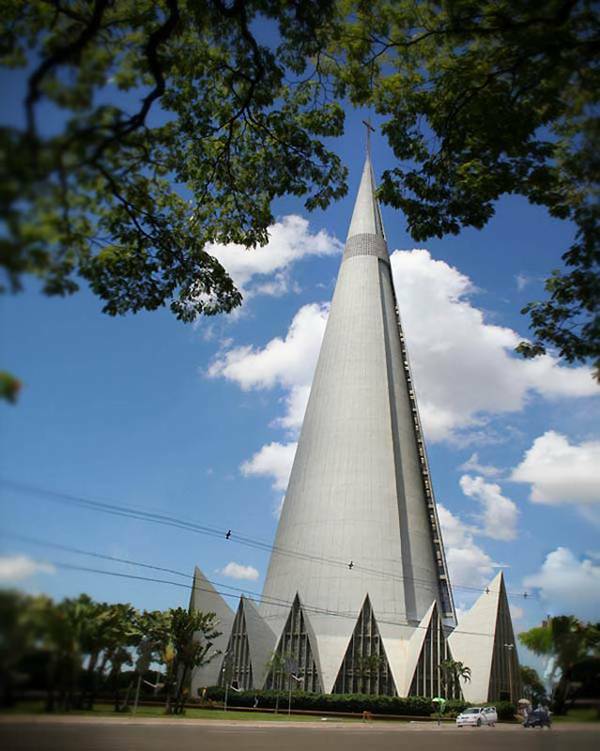 The construction of this church took 38 years. 19. St. Michael's Monastery, Kiev. 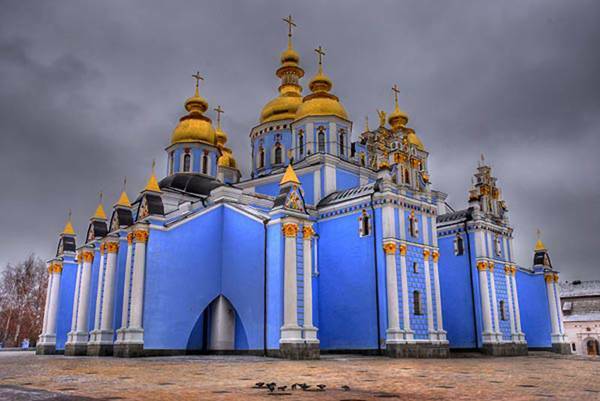 It is believed that St. Michael's Cathedral was the first temple with a gilt top, from which went to Russia, this kind of tradition. 20. 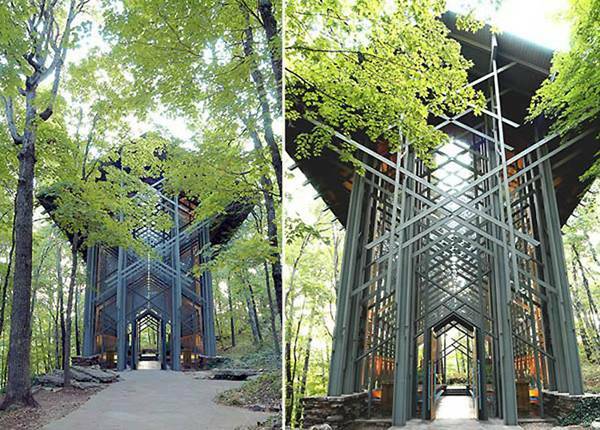 Chapel of the crown of thorns, Arkansas, USA. The building has 425 windows.